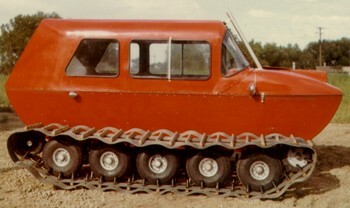 The first of the Kristi Kat tracked vehicles in production was the KT-2 with seating for 4 and powered by a 36 horsepower VW engine. This model was offered with full, open or half cab configuration. The following is a filtered view of the official Kristi vehicle logbook displaying the KT-2 model.